Over the last several years, the use of fast-growing crops planted between cash crops have grown in popularity in our region. Cover crops can be planted as a single species or mix of species depending on the producers goals. Planted to build soil structure and organic matter, prevent soil erosion and improve nutrient availability. We are learning more and more every day, we have developed standard cover crop mixes based on the most common planting purposes and timing, however we welcome your CUSTOM SEED BLEND orders. Combinations of Brassicas, Legumes and Grasses have been developed to meet the needs of our customers. With options for Grazing, Haying, Cover and variations of the three, our staff can help answer any specific questions and match you and your soil with the cover crop that will help you reach your goals for your land. The Cover Crop Decision Tools are an initiative by the MCCC to consolidate cover crop information by state to help farmers make cover crop selections at the county level. 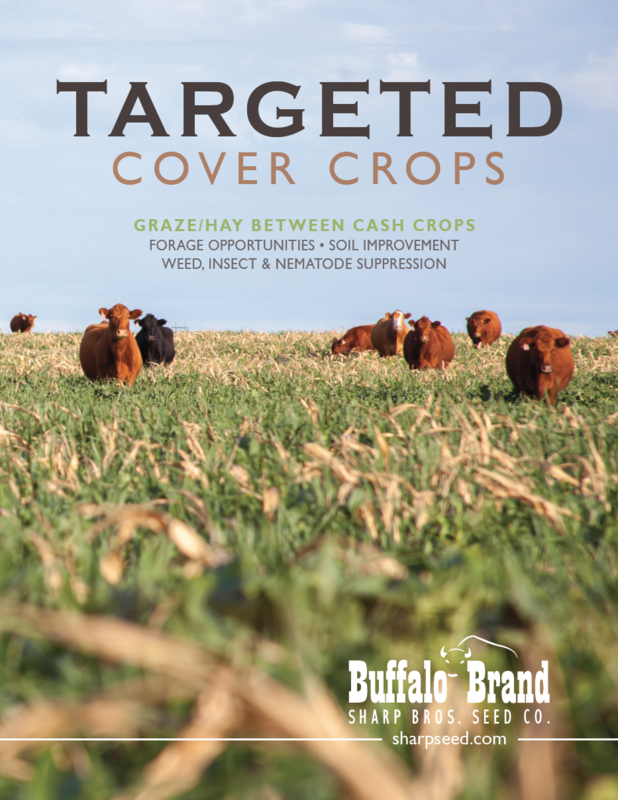 Information for each state/province is developed by a team of cover crop experts including university researchers, Extension educators, NRCS personnel, agriculture department personnel, crop advisors, seed suppliers and farmers. The team reviewed and refined information from the Sustainable Agriculture Research and Education (SARE) publication Managing Cover Crops Profitably, 3rd edition to refine application within their state/province. The information and ratings contained in the Cover Crop Decision Tool is the team consensus based on literature, research results, on-farm experience and practical knowledge.